A pair of mid modern chairs with a bold new look. 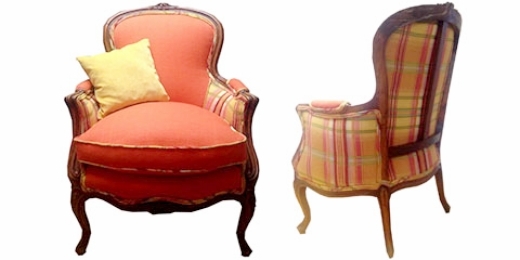 A modern makeover for a family heirloom chair with a down cushion. They love color and we were happy to comply. Amy earned a BFA degree in commercial art and design and spent 10 years working in many different capacities in the art field. She returned to school to earn her bachelors degree in art education and a masters degree in education and was an art teacher in the public schools for over10 years, working with people age 6-88 years old. Always loving design, fabric, and furniture, sewing and working with her hands from an early age she embarked on her third career as an upholsterer, getting started by taking weekend classes, reading books, watching videos and of course reupholstering everything she could get her hands on. She took more classes and practiced and practiced. Amy found great teachers and mentors to help through this organization, the Professional Upholsterers' Association of Minnesota! After over 4 years of upholstery practice she shifted to professional status and began to reupholster for clients, and is am still going! 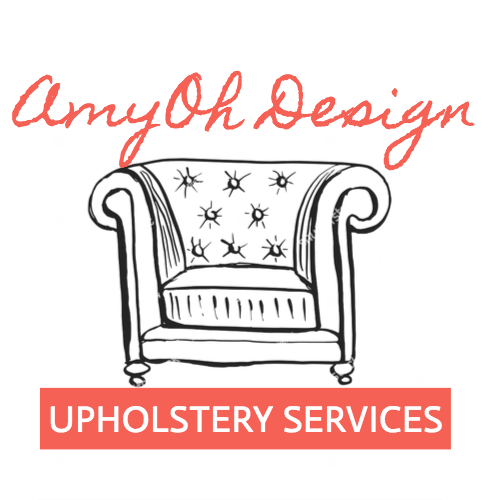 Amy is now the owner of Grahn’s Upholstery in Minneapolis. A shop that has been serving the Twin Cities for over 40 years. Amy also teaches beginning upholsterers in weekend classes at The Funky Little Chair where she continues to learn and hone her craft. A before picture of a thrifty purchase. The clients picked out a fun color and we restyled the back as well. Another family heirloom made bright and bold. WOWee. Grandma's chair does not need to be boring. Additionally, Amy studied with Kate Smith, of Sensational Color, a leading color expert and guru for corporations, businesses, and designers and is a certified color consultant.